Iranian Saffron is worldwide famous and there is no wonder that it has so many fan and followers all over the world! Saffron gives meaning to Aroma, Flavor and its Fiery Red colour is admirable! Saffron Usage in Iran: The red gold, Zafaran (Saffron) is used constantly in Persian cuisine and culinary, it plays the main role in delicious Persian food and sweet recipes. This expensive flower thread is used in dying woollen for Iranian Carpets, Persian Rugs and Yarns. Since the Achaemenid dynasty up to now, Saffron was known as a luxury spice. It is said that people used to throw saffron flower to welcome and greet kings’ arrival. Cultivating and growing saffron takes so much effort, time and only those who love Saffron farm works can do the job. 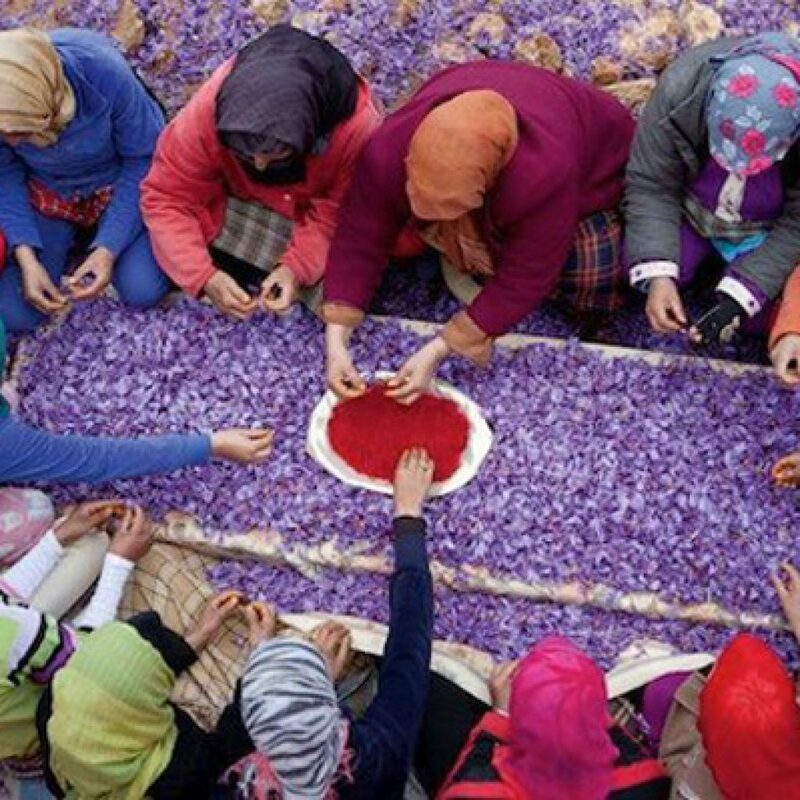 To harvest each ounce of Red Sargol of Saffron, It’s needed to grow 7000 Purple Saffron! The saffron flower should be hand-picked and the stigmas should be taken precisely. To replenish saffron, and restore enough nutrients in the soil, it’s a must to plant beans and grains for 7-10 years. Most expensive spice in the world! And it’s taken from a beautiful purple flower named Crocus Sativus. The farmers get the stigmas and styles (Threads) of this flower and dry it and it’s frequently used in cooking, coloring and also for medicine! There is No wonder that saffron is called Red Gold! The Persistence of the color and smell compared with natural ones is adorable! Iran now accounts for ca. 90% of the world production of Zafaran! 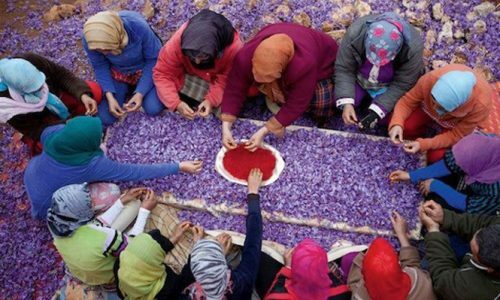 People who intend to join Iranian Saffron Tour and go on a trip to Iran Saffron Farms, will take a part in picking saffron flowers up, detach the stigma from the flowers and making some delicious Iranian foods with Saffron spice. Where is Saffron grown in Iran? In Iran, Saffron is grown mostly in Khorasan and Fars province, in a few scale it is also grown in Qom and Esfahan. The main Question is: “Where has the best saffron in Iran?” You can find, the highest quality of Saffron in Ghaenat (Qaenat) in Khorasan Province and also Estahban in Fars Province. 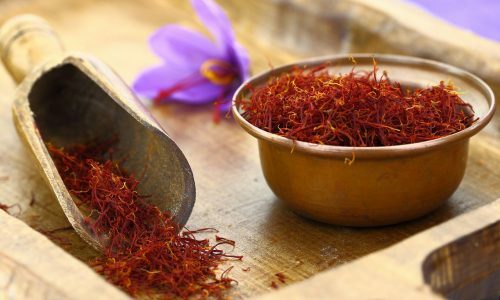 What’s the difference between Saffron of Ghayenat and Saffron from Estahban? Overall Zafaran from both places are the same, but looking deeper, The Saffron which is grown in Khorasan province releases more colour and the Saffron from Estahban has more smell and taste. When is the best time to visit saffron farms in Iran? Saffron flower blossoms flourish in Autumn, November and Early December. 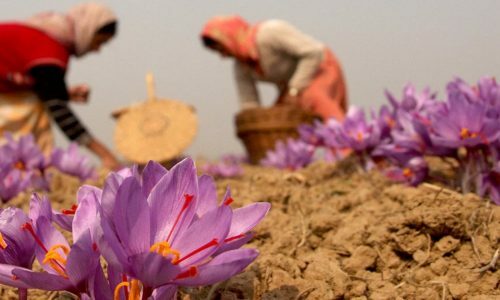 The harvesting saffron flowers should be by hand and before the sunrise. 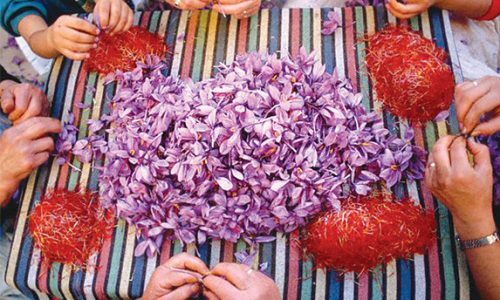 Following tours are arranged to display the Saffron harvesting culture in 3 different points of Iran, near Mashhad and Shiraz. You can combine and tailor made saffron tour including visit of tourist attractions and other tours. Since the harvesting time of Barberries, Pomegranates, as well as Saffron, is in autumn, you can have the mix of these farms altogether. How to recognize the best Saffron? How to purchase original Iranian Saffron? Like all precious thing that have fake, there are also fake Saffron packs in the black market. 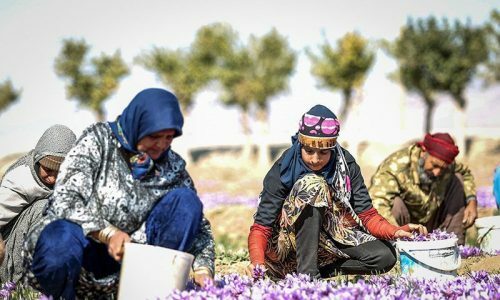 To buy the best Sargol Saffron, we will introduce you reliable Saffron sellers or you can buy Saffron during your Iranian Saffron Farm Tour from the farmers. FriendlyIran Team will assist you with purchasing Sargol Saffron (Best grade Iranian saffron) and contacting Sargol Saffron whole sellers. Iran produces 350 Tone Saffron each year and is world’s leading saffron producer. But the Iranian saffron is exported from Iran in bulks to be packed and distributed in the second country. 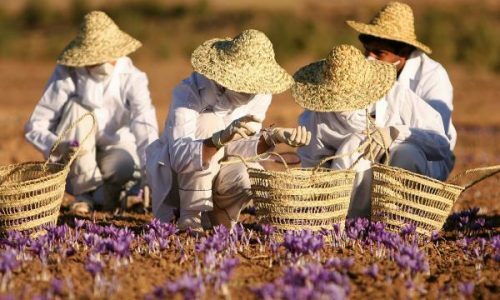 Since, the best price Iranian saffron is sold in Iran, purchasing high-quality Iranian Saffron directly from Iranian producers, farmers and factories should be in the priority of food marketing companies. To purchase saffron directly from Iranian farms, we advise you to consult with our Iranian Business/Bleisure Tour Operators. Based on your request, FriendlyIran Tour Experts are able to tailor-made a tour package of Iran business trip and leisure tour and meet Iranian Saffron producers as well as Tourist Attractions in Iran. 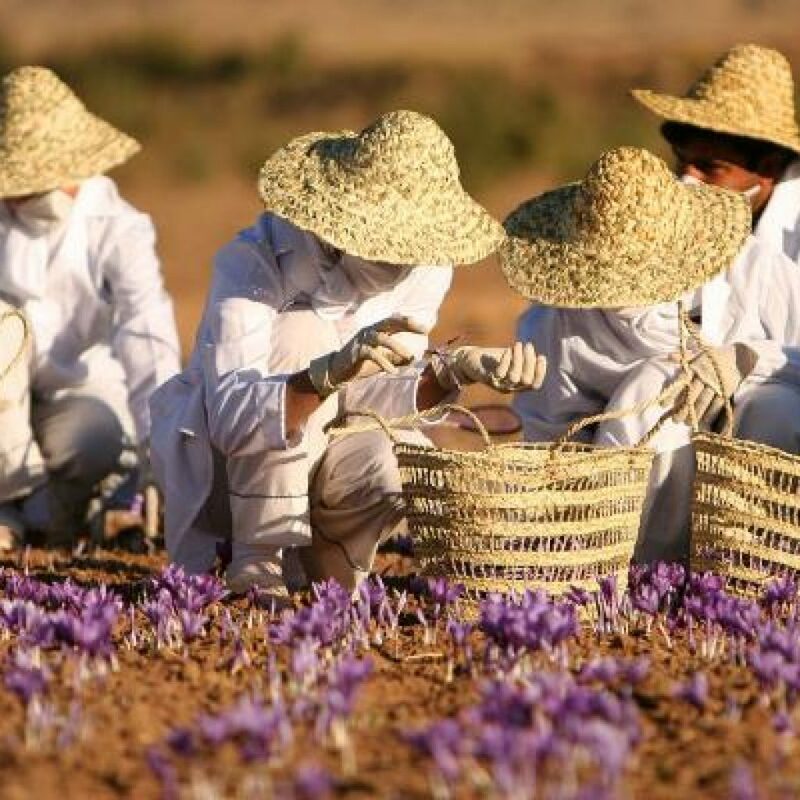 With the guidance of Hartmut Niemann, A group of 8 tourists attend the Saffron harvesting tour in Iran, Khorasan province and they have shared their experience online and through the book Handbuch Für Individuelles Entdeken Iran. If you are interested in buying this book, kindly click here. They travelled from the villages Ferdows – Boshruyeh- Tabas – Sarbisheh- Darmiyan- Birjand- Ghayen- Nehbandan, If you like to examine this Saffron Tour Itinerary, Contact us. Iran has so many Unique Agricultural Products and Foodstuff, which Saffron is one of most Important Iran Export Products. With the Support of Friendly Iran Tour operators you can meet Companies Directories and book your Iran Agritour.